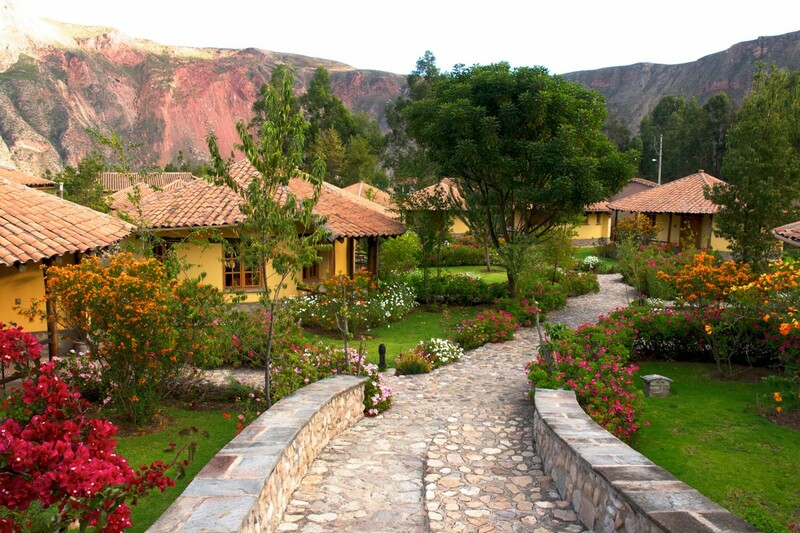 The beautiful Sol y Luna Hotel is set within a 25-acre estate just one kilometre from the town of Urubamba in the Sacred Valley of the Incas. Built from local materials, Sol y Luna’s 43 bungalows are made up of 33 doubles, 2 triples, 3 family bungalows (with a king size bed and two single or double beds), and 5 suites, all set within a colourful garden. All the bungalows are en suite and have king or double beds, climate controlled heating, free Wi-Fi and private verandas. 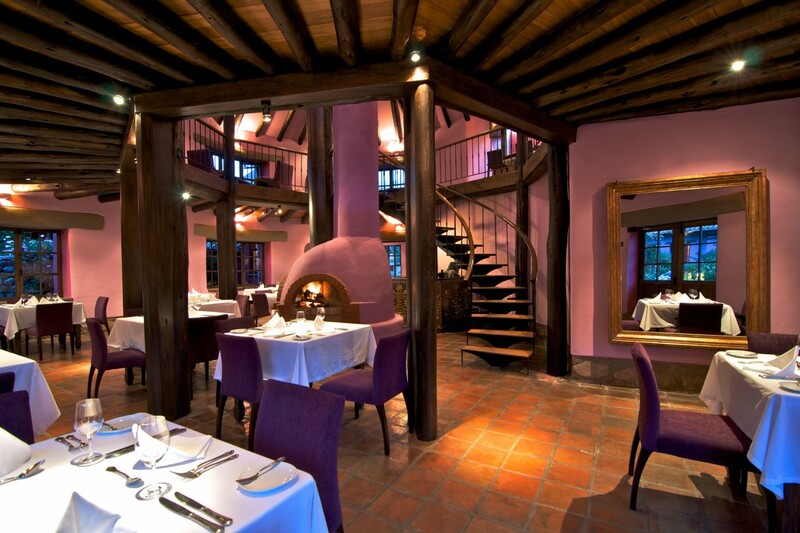 The Killa Wasi Restaurant features Novo Andino cuisine, a distinctive blend of Andean, coastal and international flavours. 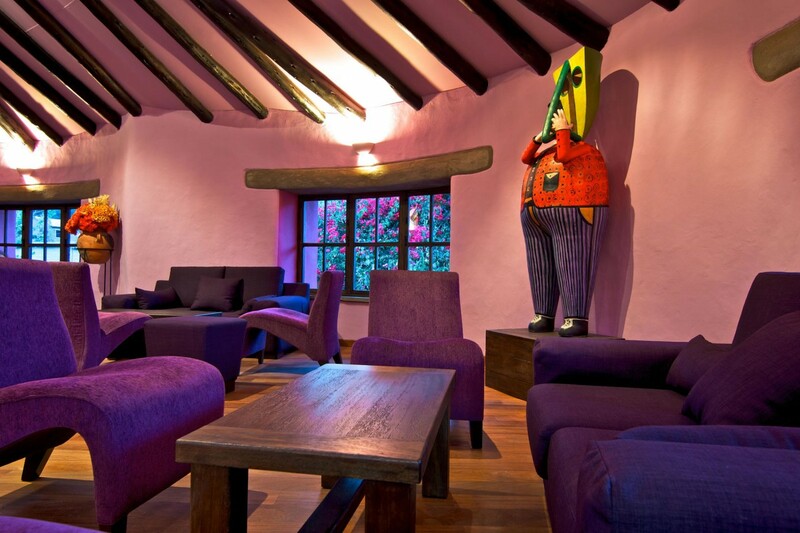 The Chicha Wasi lounge/bar above the restaurant features a full international drinks list. There is a pleasant garden with plenty of birdlife to enjoy. Additional hotel facilities include an outdoor swimming pool, gift shop, business centre and Yacu Wasi spa. The spa contains a well-equipped gym, sauna, steam room, Jacuzzi and Spanish bath. A wide selection of spa therapies and treatments are offered including facials wraps and masks, along with newer treatments such as music therapy and energy therapies such as Reiki. Massages include traditional Swedish, shiatsu, and reflexology. Classes or personal sessions in yoga and tai chi are also available. There is also a separate complex, Wayra, with a lounge, a la carte restaurant, wine cellar with 100 different wines from around the world, and terrace. 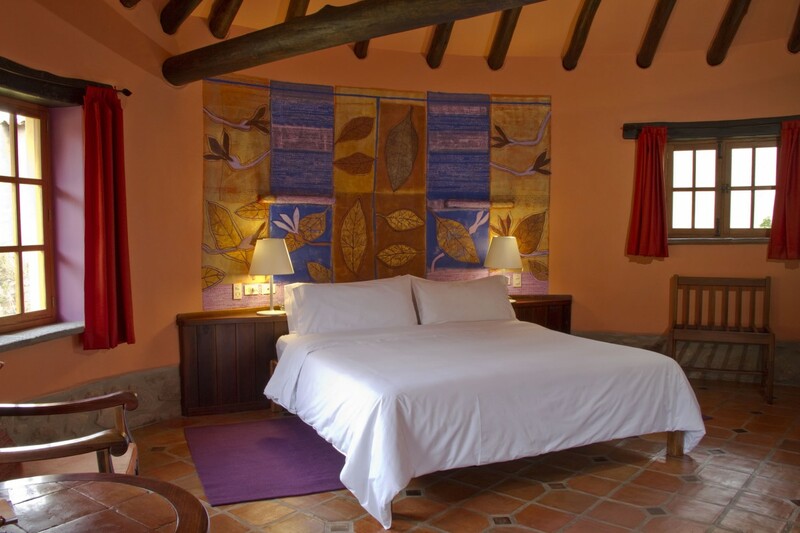 The Sol y Luna Hotel can arrange a variety of activities in and around the Sacred Valley including hikes, horseback rides and mountain biking. Restaurant, two Pisco bars/lounges, library, business centre and meeting room, swimming pool, and the Yacu Wasi spa with sauna, gym and various treatments. The on-site equestrian and activity centre can arrange hiking, horse riding, paragliding, quad biking, rafting and kayaking. Excellent - probably even the best hotel of our trip! Beautiful, large and comfortable cassita in the stunning tropical gardens. Fantastic restaurant, superb breakfasts, beautiful pool and bars. Made all the more special as it was unexpected! 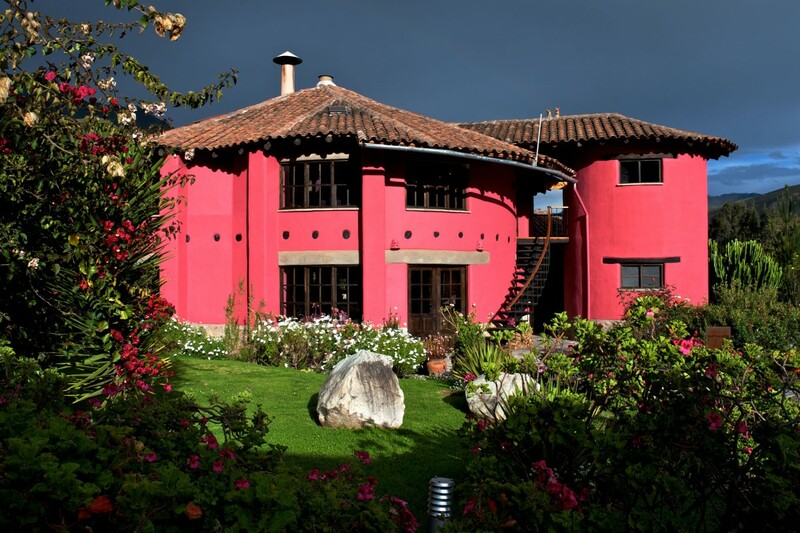 Ate out at PACA PACA one night which we would thoroughly recommend in Urubamba.